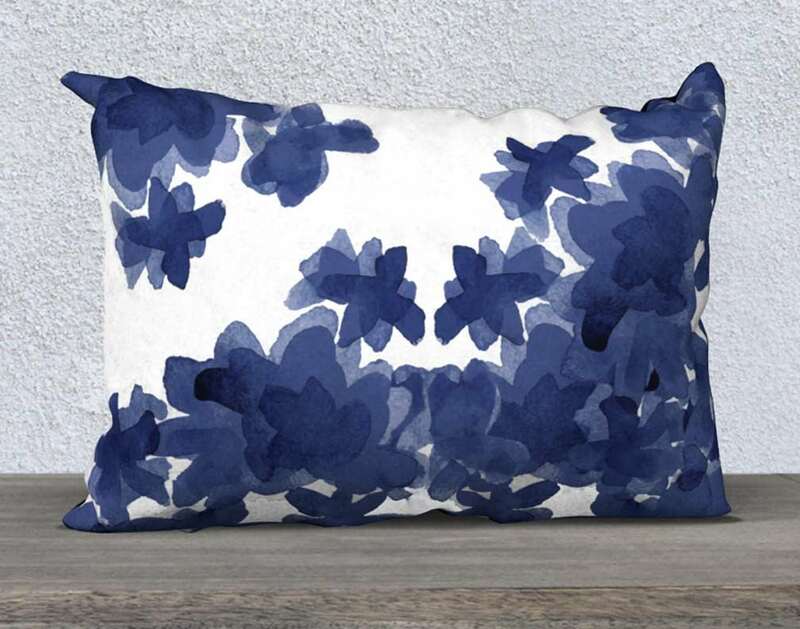 Indigo Floral Pillow Cover, 14"x20", 18"x18"
This soft inky indigo decorative pillow cover is recreated from my original watercolor paintings digitally printed on a cozy high quality velveteen fabric. You will love the luxurious texture. A very low nap- just super soft. The velveteen is leans a bit more towards a soft off white rather than a bright white. 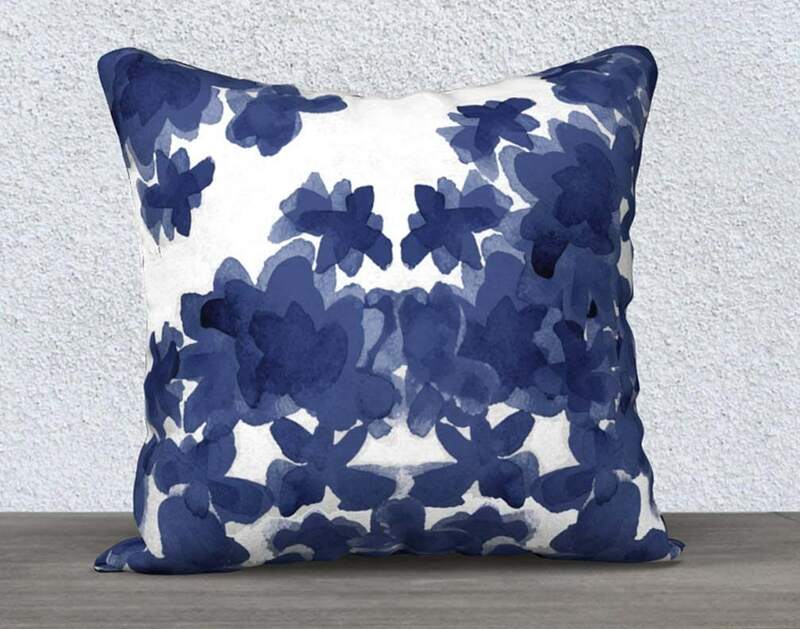 Lovely pillow for the rocking chair in my daughter's nursery. 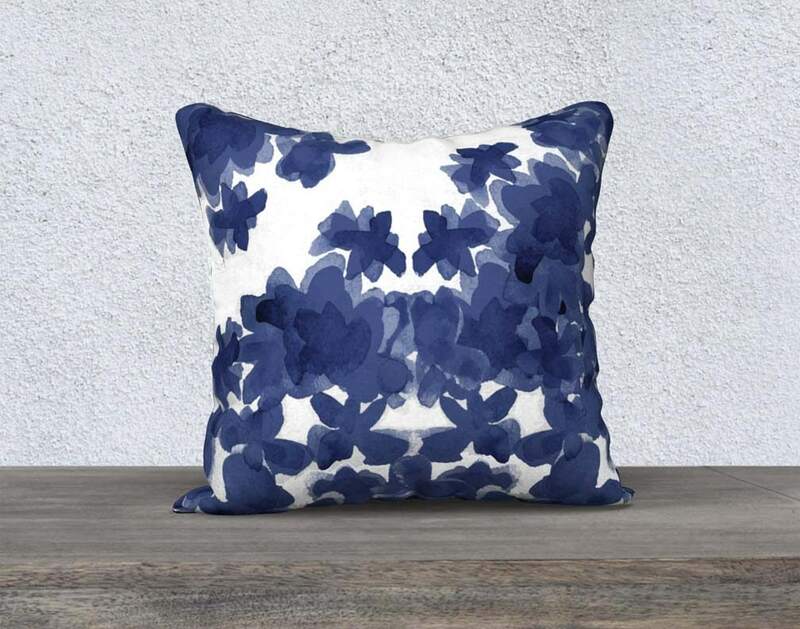 The print is ethereal but the pillowcase very durable and well-made. Couldn't be happier.